It all starts next door (or accross the street). 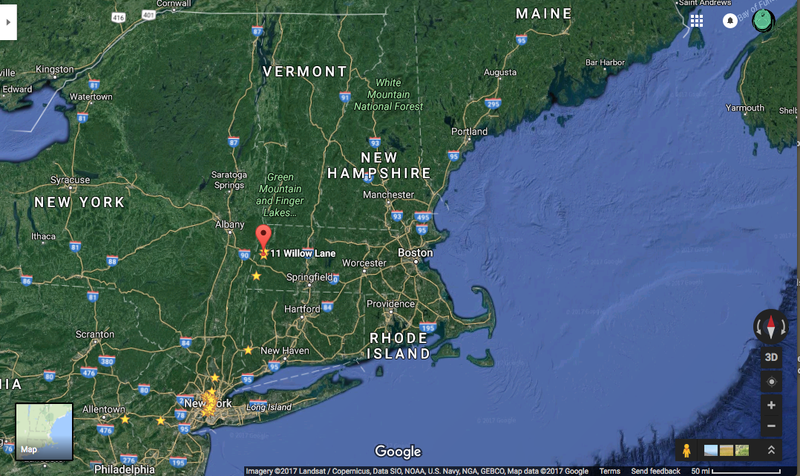 Like many of my generation, I grew up in a fading industrial city in the Northeastern U.S. This one's saving graces were being surrounded by the natural beauty of New England hills, and its proximity to New York City, making the area a prime spot for the country houses of the Robber Barons. This is not disturbing, it is pathetic. "turnstyle jumping", whaaat? Does 45 know that 1/15th of 1% (300) of the immigrants to the U.S. from the dreaded 7 countries have gone on to commit crimes here? But sick of the narrative of 45 (what Lawrence Fushburne calls him because he won't say his name, so I've adopted it as a sign of outrage). Sick of the garbage in / garbage out rhetoric: Briefs by Fox News, then confusing statements using Twitter. Travel Ban, Republicare, supply-side economics, the list goes on... but starts and ends with cluelessness. All of us, and I mean worldwide, are left confused and worried. Start with something he claims to know something about...money. Is he unaware that the value of U.S. currency is tied to trade? I am reminded, in a very scary way, of 9/11, in that no matter how horrifying and tragic, I just can't stop watching. I'm not good with marching, but I am good at standing, sitting, teaching, and short filmmaking. Currently I am teaching an ESL class so that immigrants can support themselves by taking all those high-paying American jobs like cleaning my building and caring for our children and dying elderly people. I am ashamed of our government, and of the people -- racist, zenophobic (look it up, unschooled people who don't know the word), vindictive, ignorant, and pessimistic supporters. Jones said the number of foreign fighters traveling to join IS had dropped by between 75 and 90 percent, both due to it being harder to get in and out of Iraq and Syria and because the reality of doing so had been exposed as unappealing. What did they expect, Disneyworld? Nothing like youthful excitement followed by a distaste for actual work and disappointment in a cause.